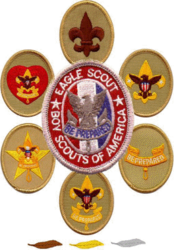 One of the most critical requirements for a Scout who is pursuing the rank of Eagle Scout is that the completion of all requirements, except for his board of review, must take place prior to his eighteenth birthday. Case-by-case extensions have been made for Scouts with special needs or when last-minute circumstances beyond the Scout’s control interfere, but all too often it’s a race to the Scoutmaster’s house on the night before he turns eighteen (it has happened in our troop, and probably in yours too). Family Scouting is on the way! 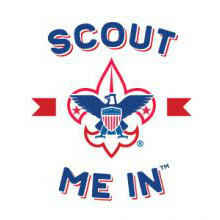 By now you have heard that the Boy Scouts of America will begin to allow Cub Scout packs to register girls beginning next fall, and a program for older girls is on the way as well. This is a long-awaited (and long-feared) advance in our programs. Embraced by many, it’s also criticized by some who fear the erosion of our “traditional” values. 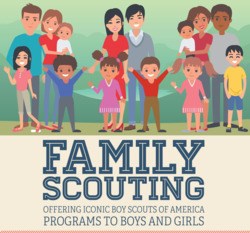 But experts up and down have endorsed the concept as a way to unite families and make Scouting more convenient for today’s families fragmented by diverse schedules and activities.